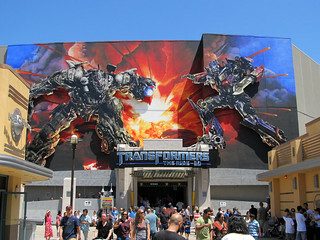 The Transformers is a relatively new attraction. It combines a track vehicle with 3D high-definition video and audio-animatronics. It was a little too intense for Todd, though, as he felt dizzy and nauseated afterward.